The Perplexus Rookie has finally landed! The Perplexus continues to evolve and now there is the Perplexus Rookie with its all new mazes and barriers. The gravity defying world of Perplexus will have the kids, Mum and Dad and even Gran and Grandad hooked! Perplexus Rookie introduces you to the world of Perplexus and a whole new realm of perplexity! 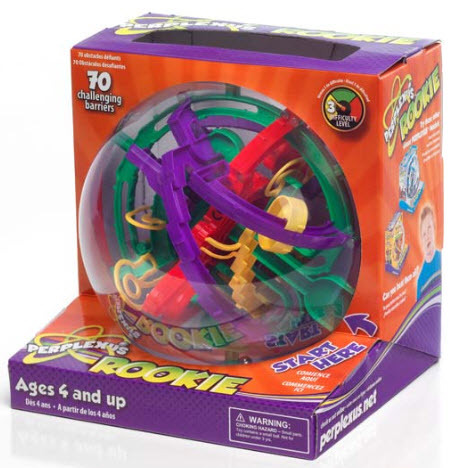 Perplexus Rookie will develop your skill as you learn to bend, twist and turn your way around the gravity defying barriers. Once you try it, you won’t want to put it down! 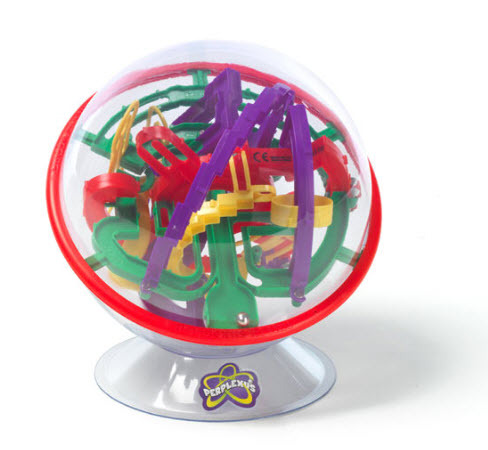 The Perplexus Rookie has 70 challenging barriers and measures 6 1/2 inches in diameter making it the smaller of the Perplexus family and great for travel or getting started in your Perplexus career. 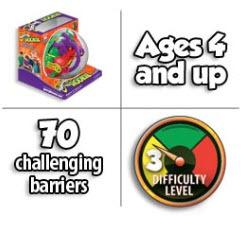 PERPLEXUS assists in child development allowing children to exercise their motor and dexterity skills, as well as improve their hand-eye coordination. Its small size makes it easily portable. No batteries required. Ages 4 and up.